Born on this date in 1883, Silas "Si" Griffis began his hockey career with the Rat Portage Thistles of the Manitoba and Northwestern Hockey Association (MNWHA) with a pair of games during the 1901-02 season. Griffis was noted for his speed and played both rover and cover-point (defense) during the seven-man era in the early days of organized hockey. He played 5 games during the 1902-03 season, scoring his first 5 goals as Rat Portage won the league title. 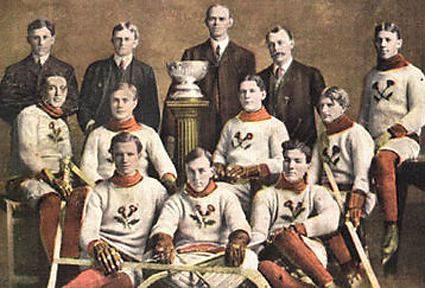 They then challenged the Ottawa Hockey Club for the Stanley Cup in March of 1903. Ottawa defeated the Thistles 6-2 and 4-2 to retain the cup 2 games to none. His offensive game flourished the next two season, as he scored a dozen goals in 12 games, as well as being credited with a pair of assists. 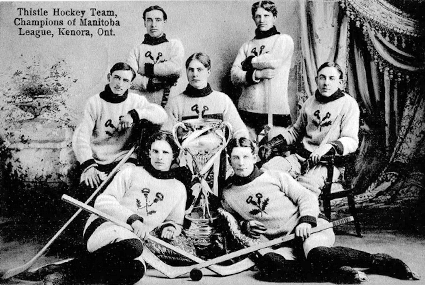 For the 1904-05 season, the amateur MNWHA turned professional, and with the move came a new name to the Manitoba Professional Hockey Association. 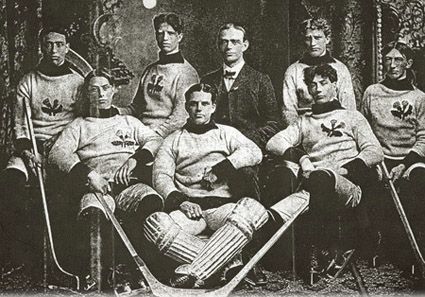 Griffis had the best offensive season of his career, scoring 15 goals in just 8 games as Rat Portage when 7-1 to win the league title, which subsequently gave them the opportunity to challenge Ottawa, now known as the Senators, for the Stanley Cup. With Senators star Frank McGee out for Game 1, the visiting Thistles cruised to a dominant 9-3 win. McGee returned to the ice for Game 2, won by Ottawa 4-2 and after their 5-4 win in the deciding third game, Ottawa had repelled the Thistles challenge once again. Over the summer, the Rat Portage was combined with two nearby towns and a new name chosen by combining the first two letters of Keewatin, Norman and Rat Portage for the new municipality of Kenora. Griffis remained a member of the now Kenora Thistles and scored 9 goals in 9 games of the 1905-06 season. Kenora had finished first in the league with a 7-1 record, with the Winnipeg Hockey Club just behind at 6-1-1. However, Winnipeg's tie with the Brandon Hockey Club was replayed, which allowed Winnipeg to tie Kenora for the league title. This necessitated a playoff, which was won by Kenora, again giving them the right to challenge for the Stanley Cup. However, the challenge was not actually played until the following season! The 1906-07 season began and shortly after the calendar flipped to 1907, Kenora finally were able to get their shot at the Montreal Wanderers for the Stanley Cup. The format this time was a two-game, total-goals series to be played at the Montreal Arena on January 17th and 21st. The Thistles loaded their roster with ringers and future Hall of Famers Tom Hooper, Tommy Phillips. "Bad" Joe Hall and Art Ross. Game 1 went to the Thistles 4-2, with Phillips scoring all four goals for Kenora. 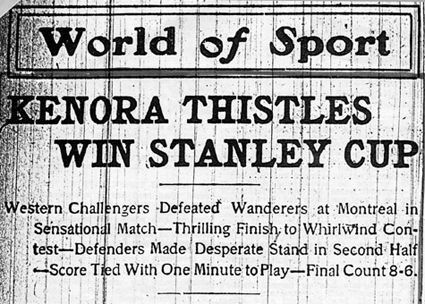 Game 2 saw both Phillips and Hooper score hat tricks as the Thistles won 8-6 to take the series 12-8 and become the smallest city to ever win the Stanley Cup. Griffis played cover-point during both games. Kenora finished second in the four team MPHA and won their mid-March playoff against Brandon Wheat City to retain the rights to the Stanley Cup with wins of 8-6 and 4-1. Five days later Kenora faced another challenge for the cup, this from the Wanderers, 1907 champions of the Eastern Canada Amateur Hockey Association. The series was played in Winnipeg and Game 1 saw the Wanderers dominate with a 7-2 win to open the two-game, total-goals series. Kenora fought hard and won Game 2 by a score of 6-5, which included a goal by Griffis, but Montreal's 5 goal advantage was too great to overcome, ending Kenora's reign as champions of Canada after two short months. Griffis then took some extended time away from hockey, not playing for the next two seasons. He played for the Nelson Hockey Club in British Columbia for the 1909-10 season before not playing again in 1910-11. All that changed when Frank Patrick and Lester Patrick formed the new Pacific Coast Hockey Association for the 1911-12 season and came calling in an effort to help fill the rosters of their three member clubs. 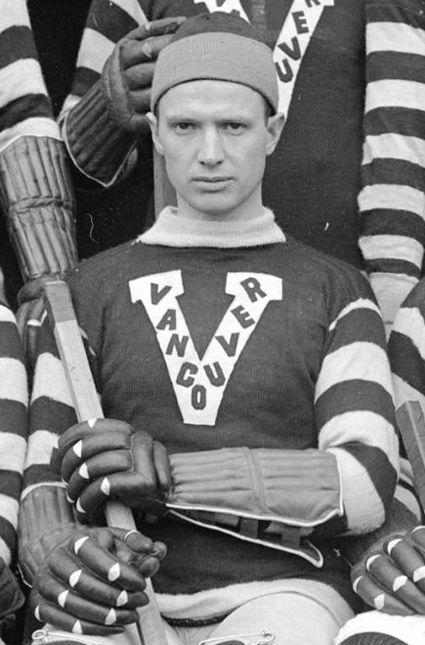 Griffis became a member of Frank's Vancouver Millionaires, and in 15 games, contributed 8 goals. For the 1912-13 season, Griffis just missed out on being in the top ten in league scoring with 10 goals and 3 assists in 14 games. The next two seasons saw him score an identical 2 goals and 5 points. 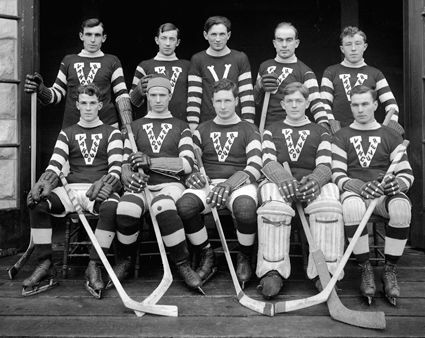 Vancouver, after four tries, finally won the PCHA championship and hosted the Stanley Cup Finals against the Senators, now of the National Hockey Association. Vancouver took Game 1 6-2 under PCHA rules. Game 2, played under NHA rules, did not slow the Millionaires, who took a commanding 2-0 lead in their best-of-five series with a 8-3 romp. 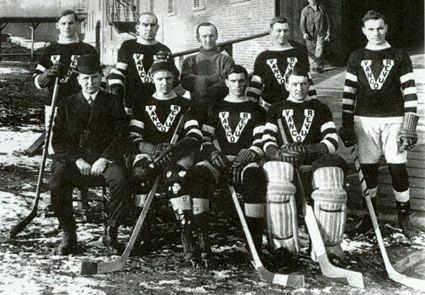 Ottawa could not respond in their must-win Game 3, and Vancouver became the first western team to win the Stanley Cup with an overpowering 12-3 to sweep the series in three straight with Griffis as their team captain, leading a roster which also included future Hall of Famers Cyclone Taylor, Mickey MacKay, Barney Stanley, Frank Nighbor, Frank Patrick and goaltender Hughie Lehman. In 1915-16 Griffis raised his previous offensive numbers to 7 goals and 12 points followed by 7 goals and 11 points in 1916-17. For the 1917-18 season, Griffis had 3 goals and 8 points in 8 games as Vancouver finished in second place. 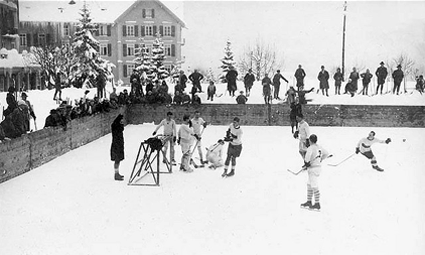 Unlike in the early days of hockey when the first place team would then challenge for the cup, the PCHA now had first place play the second finisher for the league championship. In a tight, closely fought series, the Seattle Metropolitains won the first game 2-1, but when the Millionaires took Game 2 by a 2-0 shutout, they won the series 3 goals to 2, which earned them a trip to Toronto to take on the Toronto Arenas of the first year National Hockey League. Game 1 went to Toronto playing under the NHL's six man rules 5-3, but with the PCHA's seven man rulebook, Vancouver won 6-4 in Game 2. 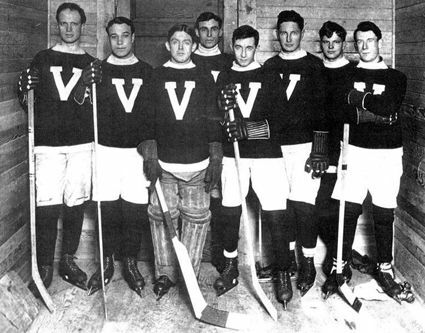 Toronto moved ahead with a 6-3 lead back under NHL rules, but Vancovuer stayed alive with an 8-1 thrashing of the home team back under the PCHA format. In a nailbiter, Toronto won the Stanley Cup thanks to a 2-1 win in the deciding Game 5. Griffis had suffered a leg injury back in 1915, which did not heal well, and finally after just two games played in the 1918-19 season, he retired from top level hockey. He did continue to play senior hockey for a number of years and was a competitive bowler and golfer. In July of 1950, Griffis was inducted into the Hockey Hall of Fame before he passed away later that same month at the age of 66. 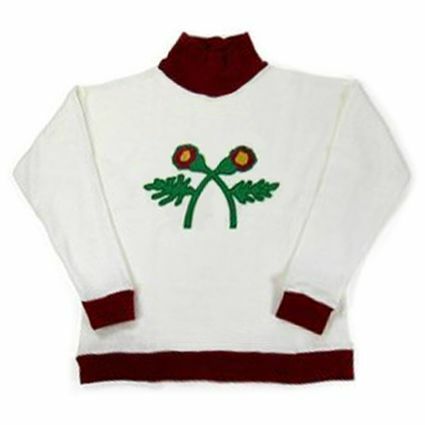 Today's featured jersey is a 1907 Kenora Thistles Si Griffis jersey. The Thistles name was chosen in a contest and the winner was a local Scottish carpenter named Bill Dunsmore, who not only submitted the name in reference to the region's Scottish heritage, but a drawing of a thistle for the team's logo. Today's video section, a look at the Kenora Thistles and hockey's early days. 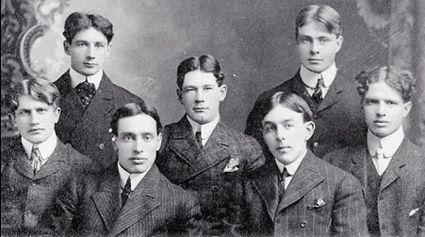 The original Thistles club disbanded in 1908, but subsequent clubs in Kenora have adopted the Thistles name, which was the case for the club that Louis McKay played on in 1934.